A sports-themed, family friendly, award-winning restaurant, we pride ourselves with providing our valued customers with excellent service and great food. We’ve built an impressive reputation for our award-winning recipes and with outstanding local support have been able to spread our concept throughout the GTA. Sports Fans Unite, as we deliver game night in style. Surrounded by televisions from every angle, you’re sure to always catch the play. Gathered under the flags of the world, we show our support by serving tastes to suit each palette. 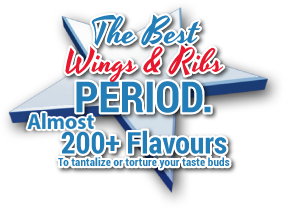 Winner of BEST WINGS since 2006, our menu has extensively epanded to suit the modern customer. Signature ribs, charbroiled burgers, gourmet grilled cheese sandwiches, fresh salads, ultimate fries, pleasing appetizers, and scrumptious desserts. All with dairy-free and gluten-free options or substitutions WHAT?!? You’re welcome! 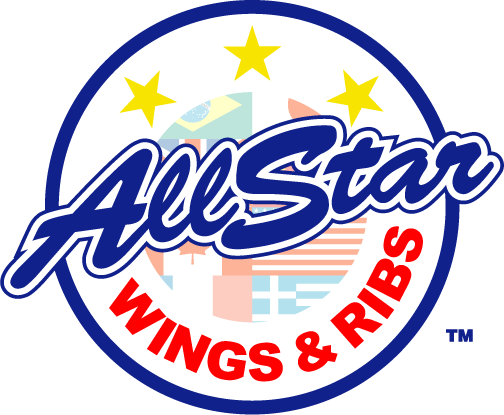 AllStar Wings and Ribs proudly provides a 15% discount to all 911 employees. 20% discount applies on Tuesdays. Verification Required.